In this rush-rush digital age, many people rely on email and text messages for their communication. Smartphones and keyboards can certainly provide efficiency. But if effectiveness is what you’re after, human conversation is still the best way to connect with other people to reach mutual understanding and solve problems. 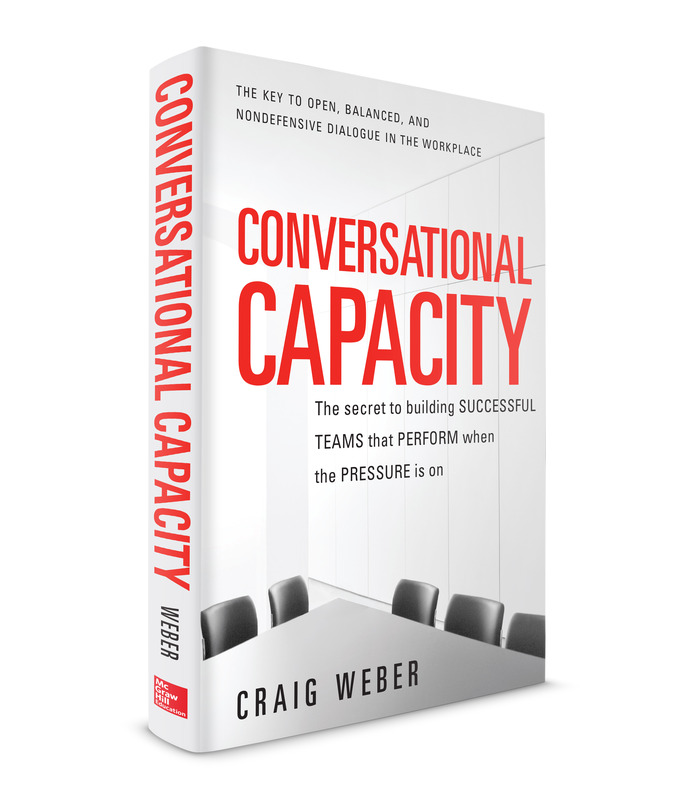 In exploring this all-important issue of how people communicate (or fail to), I reached out to Craig Weber. He’s the author of Conversational Capacity: The Secret to Building Successful Teams That Perform When the Pressure is On. To build their conversational capacity, Weber says, people must subordinate their base, ego-driven impulses to the finer aspects of their humanity. This requires cultivating candor, courage, curiosity, and humility. Most of us spend so much time at work that it’s bound to affect who we are. The only question is how. Will we allow our workplace experience to reinforce the primal, self-centered aspects of our nature, or the more noble, more purpose-driven aspects of our humanity? Weber says the key to building more skill with conversations is to become less cautious and more candid, less timid and more courageous, less critical and more curious, less arrogant and more humble. His insights are well worth digesting. Rodger Dean Duncan: What do you mean by “conversational capacity”? First, it’s the ability—of an individual or a team—for engaging in constructive, learning-focused dialogue about difficult subjects, in challenging circumstances, and across tough boundaries. It’s easy to see this ability in a team. A team with high conversational capacity can accomplish really good work even when dealing with its most troublesome, contentious issues. A team with low conversational capacity can see its performance derailed over a minor difference of opinion. So the more difficult the issues we’re facing, the more challenging the problem we’re trying to solve, the more stringent the differences of personality or opinion around the table, the more important our conversational capacity becomes. Here’s a second way to think about conversational capacity. There’s a place a team wants to be working when they’re dealing with an important issue or decision. I call this place “the sweet spot”—that place in a meeting or conversation where things are open, constructive, balanced, and learning-focused. The sweet spot is where we don’t just have smart people around the table—it’s where we can readily access their smarts. Duncan: How can a team maintain focus on that sweet spot? Weber: What holds us in this sweet spot is balance between two critical things. First, candor. The conversation is open, honest, forthright, and direct. But unadulterated candor isn’t always productive, so in the sweet spot it’s balanced with lots of curiosity. People are open-minded, inquisitive, interested in new ideas and contrasting perspectives. This is what holds us in the sweet spot—balance between candor and curiosity. And when we leave the sweet spot, it’s almost always because we’ve let go of one pole or the other. We can define conversational capacity, therefore, as the ability to work in the sweet spot in difficult circumstances. A team with high conversational capacity can stay focused on learning and do good work in difficult situations because team members don’t allow their defensive reactions to pull them off center. Duncan: Why else is conversational capacity so important? Weber: It’s a pivotal variable in both personal and team performance. Any team, for example, is a mix of people with different personalities, educations, life experiences, cultural backgrounds, and areas of functional expertise. High conversational capacity coupled with these differences can be a source of strength because the differences can be leveraged for learning. On the other hand, low conversational capacity coupled with these differences can produce a vulnerability to defensiveness and dysfunction. Duncan: What are the telltale signs that a team doesn’t yet have this capacity? Undiscussable issues. When candor is low, we avoid or downplay difficult topics and problems. Then they’re more likely to come up in the hallway than in the meeting. These symptoms provide a clear signal that the conversational capacity of a team is inadequate. They’re important signals to recognize because no amount of technical sophistication or good intentions will compensate for a team’s inability to balance candor and curiosity under pressure. 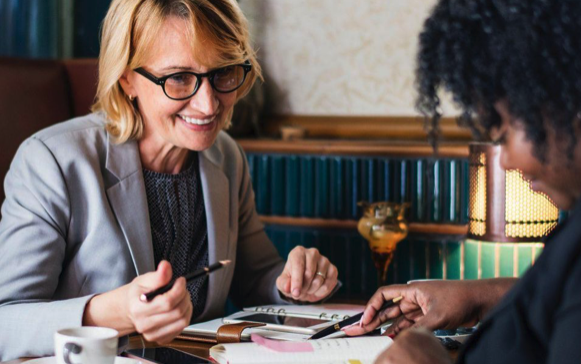 Even if a team is staffed with skilled people who trust, like, and respect one another, and even if they have all the technical pieces in perfect place—strategy, structure, processes, and policies—the team still won’t perform if their conversational capacity is too low. Duncan: Why doesn’t conversational capacity come naturally? Weber: That’s a great question. Balancing candor and curiosity is simple in concept but tough in practice for a daunting reason—human nature works against us. We’re born with two powerful tendencies—emotional reactions—that throw us off balance in surprising and disturbing ways. And what makes these tendencies so hard to manage that they’re grounded in the fight-flight response—powerful, knee-jerk reactions to a perceived threat, be it physical or social. When our need to “minimize” the level of tension, discomfort, embarrassment, or risk is triggered, we tend to leave the sweet spot by becoming less candid. When our need to “win”—to be right, to get our way, to convince others to see things our way and agree with us—is triggered, we tend to leave the sweet spot by dropping curiosity. There are stunning examples of this, such as co-pilots not speaking up when they see a pilot making a grave mistake, or surgeons fist-fighting in an operating room because they disagree over who gets to perform the procedure. But it’s usually not that extreme. When conversational capacity is low it more likely that we’ll not address an issue in a direct way or we’ll not listen, not be open to other views, or we’ll shut one another down. Either way, learning is hampered and performance suffers. This entry was posted in Blog, The Duncan Report and tagged Communication, conversation. Bookmark the permalink. Post a comment or leave a trackback: Trackback URL.